I always find peachy pink shades to be ultra flattering. I’m not sure if it’s the time of year or if I’m eventually growing out of the more Autumnal berry tones, but I’m really drawn to these shades right now. I’ll run through my top picks, from stronger oranges to soft peach to pretty pinks. Starting with the bolder shades (and top to bottom in the swatches), NARS Velvet Matte Lip Pencil in Red Square is one of my all time favourite shades. It’s a really gorgeous bright red-orange, which looks so flattering on so many different skintones. If you can’t get away with blue-toned reds, then this baby is for you. 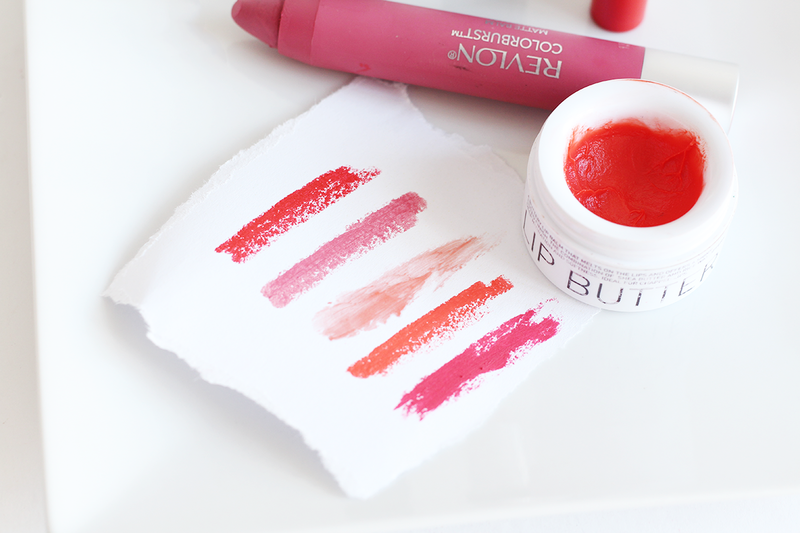 The softer pink is Revlon Colourburst Matte Balm in Elusive, which comes off like a dusty rose pink on the lips. If you can get past the minty scent, these balms are really lovely and comfortable on the lips, and stay on a fairly long time. I like how this leans slightly blue-toned, but remains totally wearable to most. 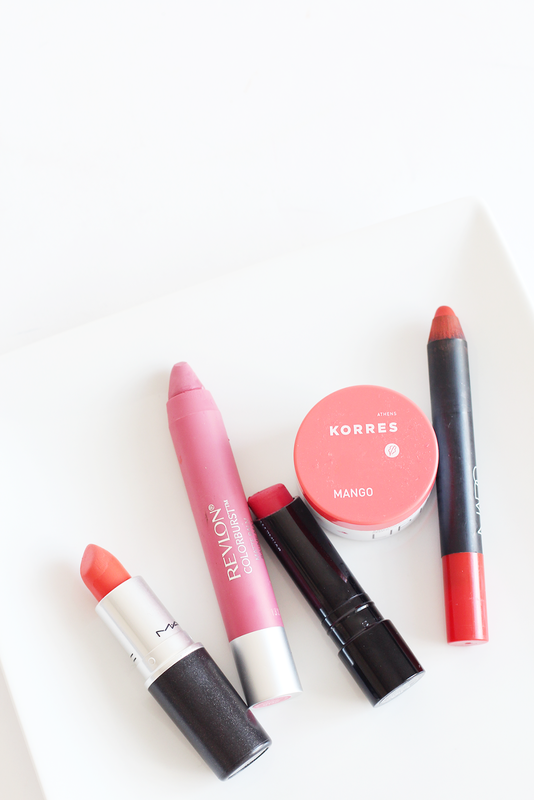 If you can’t be bothered with an actual lipstick, but still want a wash of colour, the Korres Lip Butter in Mango is a really pretty peachy tone. It’s one of my favourite lip balms ever, as it actually hydrates but the colour payoff means you can wear it alone. If straight-up orange shades are your thang, then MAC Lipstick in Morange will be right up your street. You can wear it lightly for a more peachy look, but I prefer a few swipes to make it a bold and bright shade. It has really good staying power with it being so pigmented and looks beautiful on with a tan! Finally, onto more of a pinky tone, the beautiful Bobbi Brown Creamy Matte Lipstick in Calypso is a gorgeous shade. I love the more matte finish, as it stays put and the shade itself looks so pretty on. It’s like a mid-toned pinky shade with a hint of coral, perfect for Spring/Summer. Have you seen my beauty blog sale yet? There’s lots of bargains!